U.S. Termite & Moisture Control, a division of Cape Construction Co., Inc., began serving Hampton Roads in 1991. Cape Construction Co., Inc., has been satisfying the building and repair needs of Hampton Roads residents since 1984. 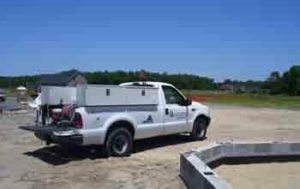 Cape Construction Co., Inc., is a Class-A licensed construction company and a member of the Tidewater Building Association. Our companies can handle everything from your smallest repairs to the construction of your next custom home. We also do house jacking, repairs from termite damage, and moisture repairs. Quality window replacement or installation of new windows can cut down on your fuel bills. Let us give you a free estimate! All of our inspectors are fully licensed Pesticide Applicators, and in addition, the termite inspectors are also Wood Destroying Insect Inspector Certified. Not all termite inspectors in the Pest Control industry carry this additional certification. This is an important certification to have, not only for the protection of your largest investment, your home but also when selecting a termite company to perform the inspection for your prospective investments. U. S. Termite & Moisture Control takes the time and pride to do the best inspections and treatments possible. When termite treatments are necessary, we use the # 1 chemical of choice, Termidor SC! Termidor has been rated with an almost 100% control rate and has greatly reduced the need for re-treatments! We can assist and aid in control of all aspects of moisture-related problems from treatments to repairs. Our Termite Protection Plan offers you protection and peace of mind knowing that your home is inspected yearly for wood-destroying insects and being kept informed of any possible moisture conditions or problems that can arise from fallen duct work, wet and drooping insulation, or snakes and animals nesting under your home. Our Pest Control division is ready to educate and assist you in the control of all those seasonal pests! Insects carry many bacteria that contribute to the way we feel. Symptoms such as flu-like feelings, achy joints and muscles, fatigue, chills and nausea. Use the information below to contact us for any of your pest control needs, including yearly inspections and monthly or quarterly pest control service.